Being British, I do LOVE a classic Sunday Roast! During summer I have been indulging in far more BBQs but the first Sunday of September came with autumnal weather so a yummy roast seemed fitting! My boyfriend and I went to a favourite of ours, a gastro pub in West Hampstead called The Alliance. Away from the main hight street, this venue is a bit quieter than some of the other restaurants and pubs in the area, which can get pretty packed on the weekend. I opted for the chicken roast and I wasn’t disappointed! A generous portion of chicken cooked perfectly accompanied by all the trimmings: roast potatoes, roasted carrots, parsnips, cauliflower cheese, green beans, swede and topped off with a huge Yorkshire pudding, (my fav!) YUM! My boyfriend opted for the vegetarian option which came with a very generous helping of chestnut and mushroom stuffing which also looked pretty darn good! 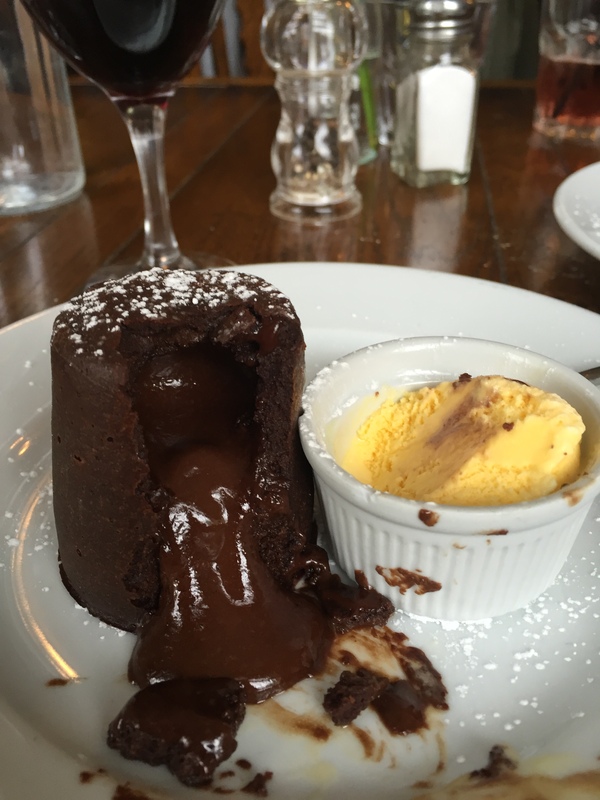 Now it is safe to say we were stuffed, but we couldn’t resist a desert… well it was a Sunday after all! 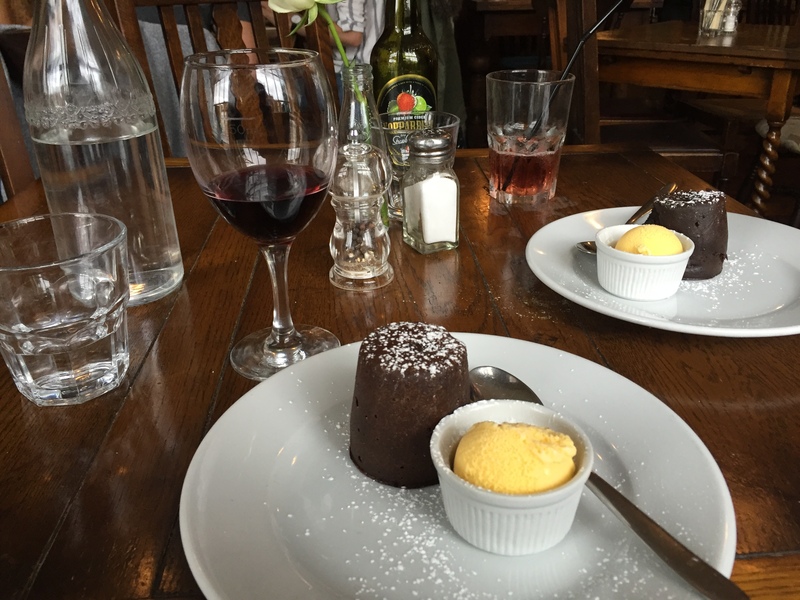 We both went for the dark chocolate fondant which came with vanilla ice-cream. It was worth the food coma which followed! If you’re a chocoholic this will be the desert for you! The other desert options included ice-cream, cheesecake, a cheeseboard (don’t ask me why I only remember the cheese theme foods!) amongst other tasty treats. So if you’re in North London or fancy exploring somewhere new, I would recommend The Alliance for an epic Sunday Roast! Previous Post Turn that frown, upside down!